With a quick scan through my beauty cabinet, you’ll find that my treatment masks are divided into three sections: Exfoliating masks; strong clay-based acne-busting masks; and soothing, healing masks. The first two sections are heavily populated while the third — the soothing, healing masks section — has just a handful in it. The latest addition? Dr. Alkaitis’ Organic Beautifying Mask. Dr. Alkaitis’ Organic Beautifying Mask marks my first experience with the popular organic skin care line made with edible living ingredients. I’ve been in awe of the brand for quite a while and jumped at the chance to experience the Organic Beautifying Mask, the newest offering and fifth mask in the collection. Dr. Alkaitis’ Organic Beautifying Mask has a top spot in my “soothing, healing masks” section thanks to the fact that even though this mask harnesses the power of organic, wildcrafted Montmorillonite clay, it’s not drying and doesn’t tighten the skin in an uncomfortable way as it dries or after it’s washed off the way that some clay masks do. With that said, it’s important to remember to keep Dr. Alkaitis’ masks moist as the ingredients work their magic; this means spritzing your face with a hydrosol or using an additional liquid, such as honey or yogurt, after blending the dry powder mask with water. 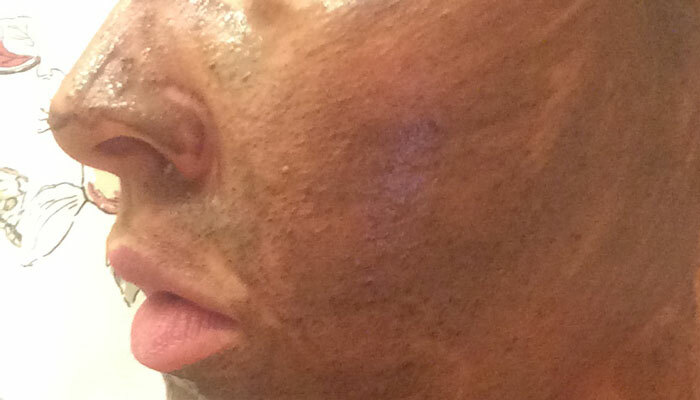 I’ve tried Dr. Alkaitis’ Organic Beautifying Mask mixed with just water (as seen in the selfie below — sorry for the poor indoor lighting, but it was and evening treatment!) as well as with manuka honey, and I’ve enjoyed both treatments. Mixed with manuka honey, the mask feels as though it’s getting deeper into my pores and flushing everything out, but still without drying anything out. Mixed with just water, the mask is lightweight and never tight, and upon rinsing off, it makes my skin feel so incredibly soft that I could almost get away without a mist and moisturizer. I choose to use this mask (and my other “soothing, healing masks”) during weeks when my skin is coming off of crazy breakouts yet may not be in absolutely perfect condition; for me, that’s usually toward the beginning or middle of my cycle, after the PMS zits have somewhat subsided yet I’m still prone to a few spots here and there. Dr. Alkaitis’ Organic Beautifying Mask is a perfect choice during this time of the month in hot, humid months, as “healing and soothing” doesn’t always means “epic hydration” — I don’t need a heavy, moisturizing mask in Kansas City humidity, but I do need something to calm my skin and restore some balance. So, what’s inside Dr. Alkaitis’ Organic Beautifying Mask that manages to calm, hydrate and free the skin of impurities? According to Dr. Alkaitis, Chinese women have used snow mushroom as a beauty treatment for centuries (I’m not sure my Chinese grandfather was really into beauty treatments, or else I’d want to ask him about this). It’s because snow mushroom is said to increase moisture retention in the skin and help smooth the appearance of fine lines. 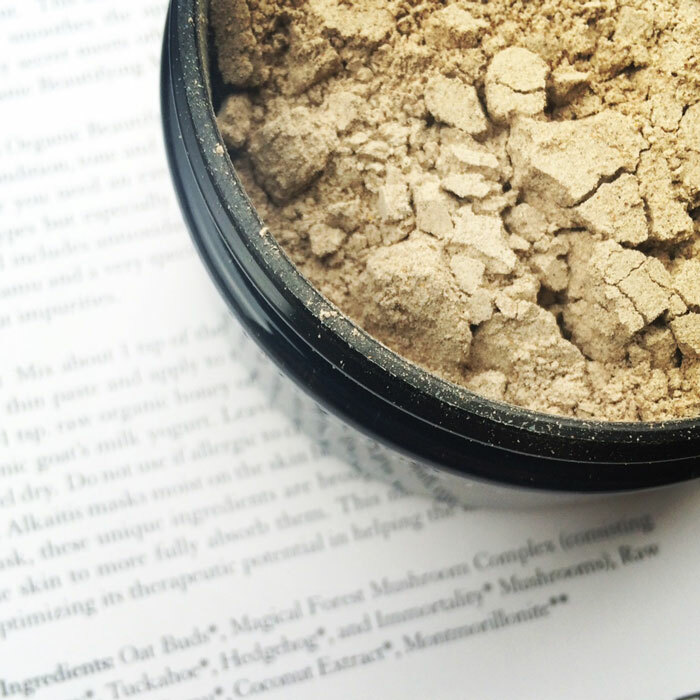 I would imagine that snow mushroom, combined with soothing, antioxidant-rich raw cacao, accounts of a lot of the healing powers in this mask while Montmorillonite clay does a bit of work to draw out impurities — just the balance I need for finicky, hormonal skin! 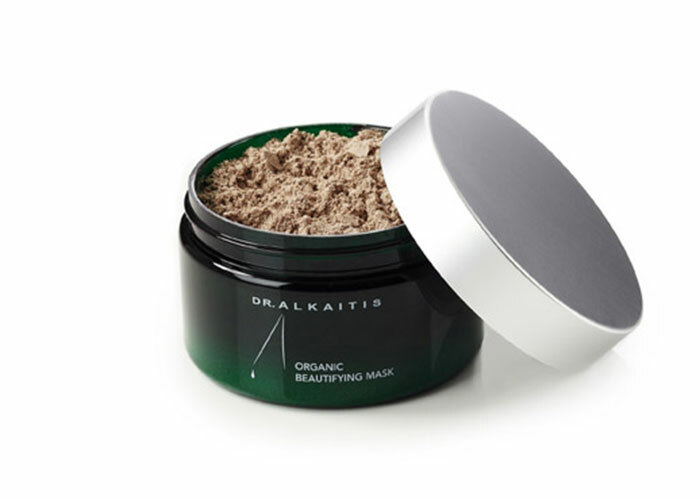 And because I’m always after a bit of balance, Dr. Alkaitis’ Organic Beautifying Mask is one I’ll keep stocked — it’s an understated treat to use at about $2.60 per mask (seriously, a little goes a long way and you can get 25 masks out of this jar!). I’m looking forward to sharing more about Dr. Alkaitis with you soon. It’s a stellar brand with some pretty smart ingredients. Have you tried anything from Dr. Alkaitis? What categories do your masks fall into? Tell me in the comments section!